Ive been making alot of maps lately, and I would like to start making patches as well. open up yur png in gimp and go pixel by pixel. Oh wait. That is how everyone used to say how to edit a patch. Tiles are 16x16 pixel blocks, so set up a Grid of 16 by 16 pixels in your graphic editor. This would help you tell apart individual tiles to patch. If you want to put in a bigger resolution tile-block, you can use one of the 64x64 pixel blocks to make your own floors that is seamless. However, some mapmakers don't follow this rule, so be prepared to swap patches around if you want to use pretty marble floor tiles. For the Tuna file, it's easier to create original content before plugging them in. Back up your original contents so you can adjust them and re-patch. My own ship graphics took ten to twenty iterations to get the way I like them now. Why? I can see some artifacts in the Tuna where certain pixels should be there or shouldn't be there. You cannot use the 16x16 grid feature for this file, so I would test the patch often. I would recommend backing up your Sedit.exe MapEditor-Tiles file and put in your Work-in-progress Tiles file so you can view maps w/o starting a game server. 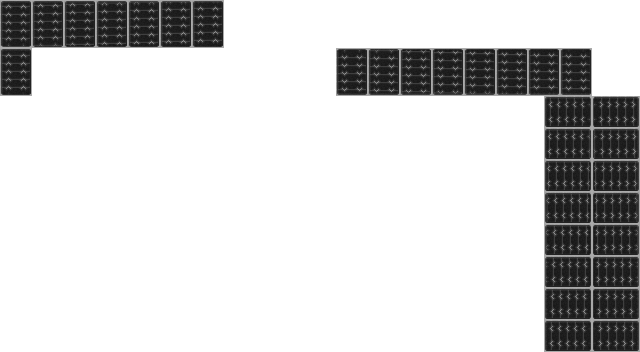 While you're editing tiles, add the arrows back to the conveyor tiles. It's hard as hell to tell which direction they're moving with the current tiles. This post was last modified: 09-29-2014, 05:00 PM by oTaCon. Those tiles are perfect! I added them to the dev build. Will move to the current build after a bit of use.